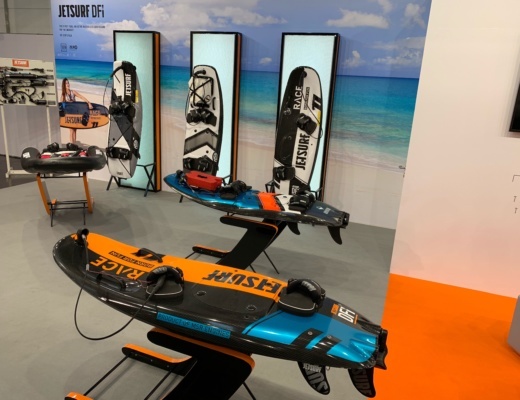 Every year in January the water-sports industry is meeting in Dusseldorf (Germany) to show the latest trends on the water. Next to boats, scuba diving, windsurfing etc. 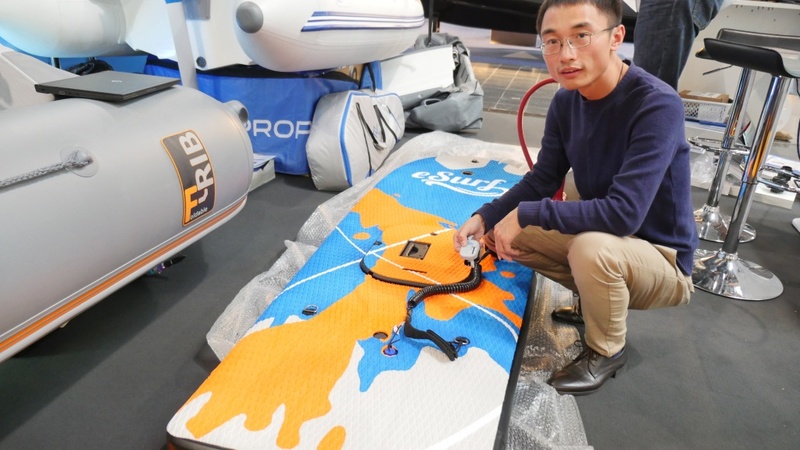 quite a few new electric surfboards could be found at the show. 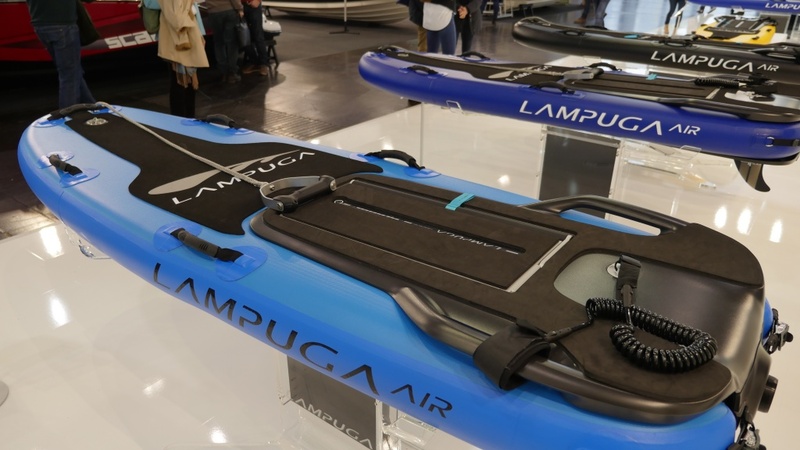 Companies like Lampuga, Radinn, CURF Technologies, ePropulsion eSurf and Jetsurf were exhibiting and showing their latest models and prototypes. 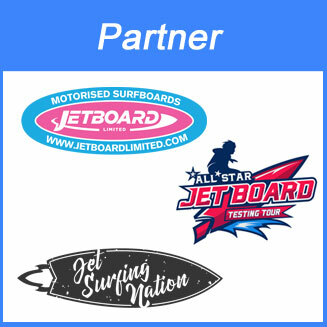 And of course the Allstar Jetboard Tour Team including E-Surfer did not want to miss the new electric surfboards. 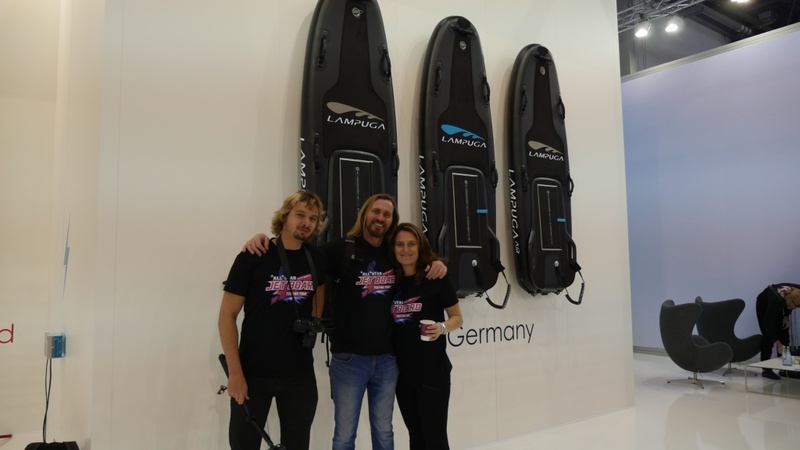 The (new) Lampuga team impressed with a huge booth to show the 2018 models of the Lampuga Air, Lampuga Boost and Lampuga Rescue. All models are completely re-worked under the new leadership of the Lampuga brand / company. 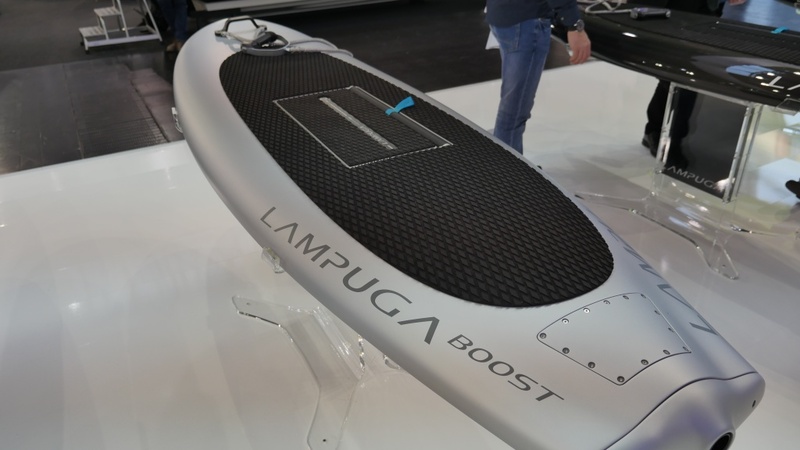 The top model Lampuga Boost is supposed to offer 58 km/h or 36 mph for up to 45 minutes. 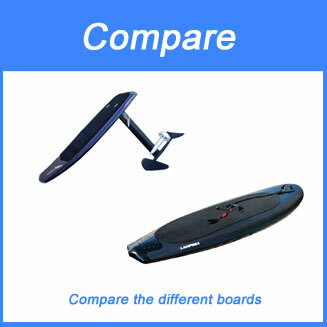 The 10,000 Watt powered Carbon Fiber board weights 40 kg (incl. 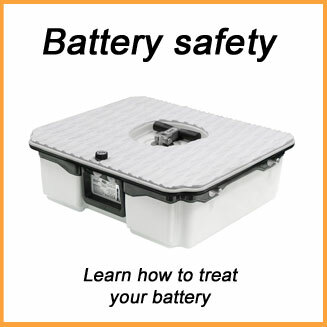 the 20 kg replaceable battery pack). Especially designed for Lifeguards is the Lampuga Rescue. 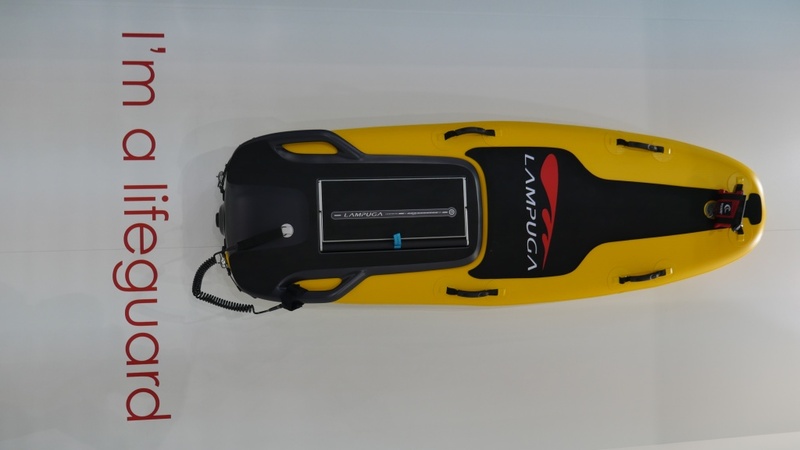 The Lampuga Air serves customers who wants to have a fast board, which is easy to transport. The inflatable body , which is available in 6 colours, connects with the Power-Box, which contains the jet engine, controller and replaceable battery. It comes with the same 10,000 Watt engine and makes about 51 km/h or 31 mph at a weight of 38 kg (Power-Box about 17 kg). But also the Radinn team from Sweden impressed with their booth. Large Display, DJ, VR demos and last but not least a complete new 2018 model. 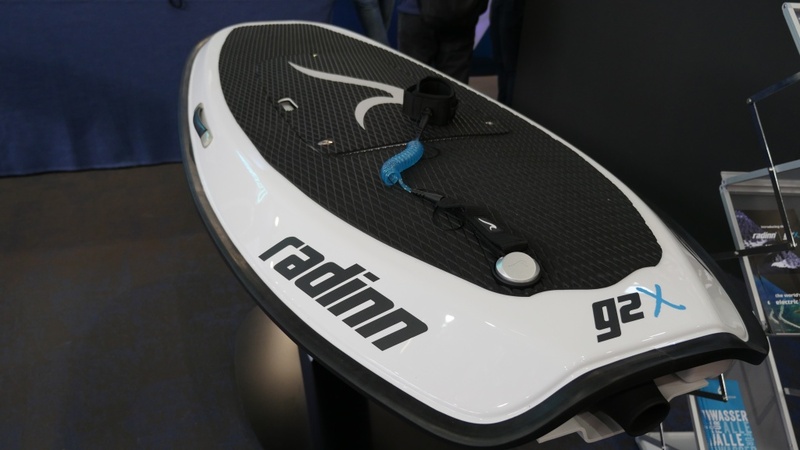 It is called the Radinn g2X and looked promising. The new model claims to be 35% less expensive (starting form 9,900 EUR), 35% faster (55 km/h), 80% longer range with the more expensive power pack XL (45 minutes), 60% higher thrust and 25% lighter (40 kg incl. Battery). 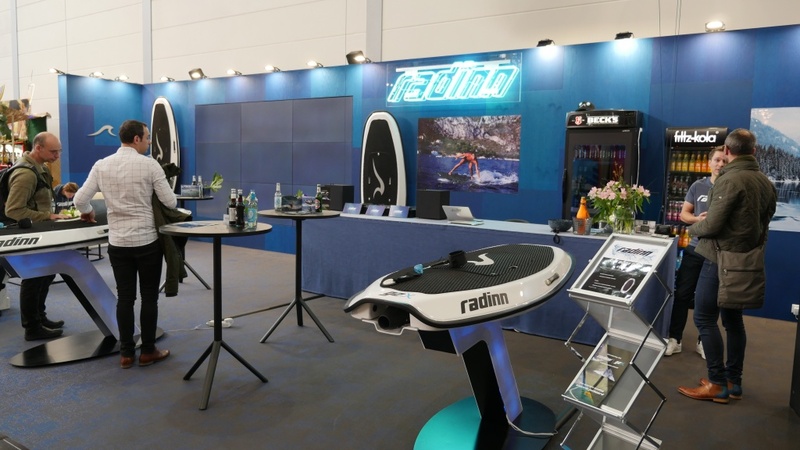 Radinn also announced an electric hydrofoil kit for their boards, but no prototype was shown at the boot show. ePropulsion from China was showing their electric SUPs and the eSurf S1 which is still supposed to be the cheapest electric surfboard. Check out our eSurf S1 article for more details. What was new was the partnership of ePropulsion with Indiana SUP and the Zurich university to showcase the first solar powered E-SUP. 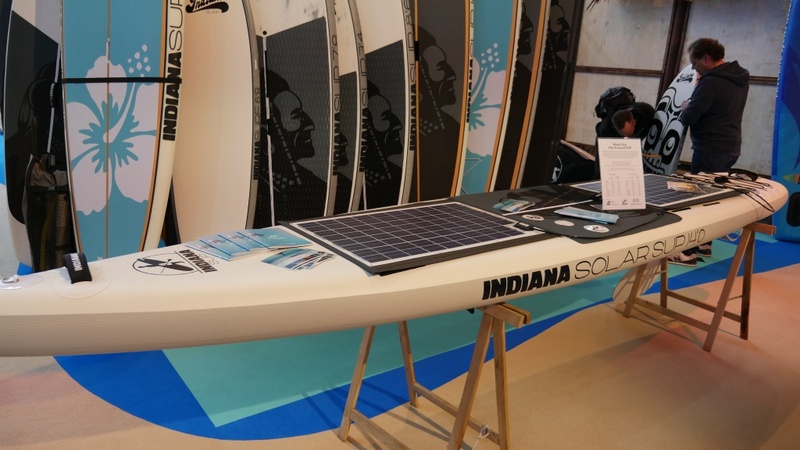 The 365 litre Stand Up Paddle Surfboard form Indiana SUP was combining solar panels and electronics developed by the school of engineering and the e-Propulsion E-SUP Kit. The E-SUP makes about 8 km/h. Also Jetsurf from Czech Republic were present with a booth and did not show only their petrol powered Jetboards, but also 2 prototypes of electric Jetboards. 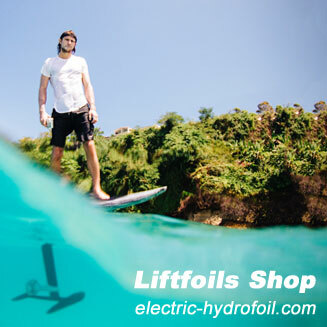 One being an electric hydrofoil surfboard. 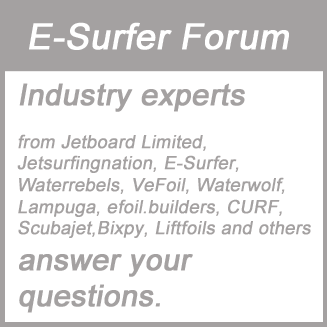 The electric version of the Jetsurf board is supposed to be available in late 2018 and the Hydrofoil version not before 2019. Last, but not least the (old) Lampuga guys also introduced their new company and board. They were not at the show floor, but down-town Dusseldorf. They met press and distributors by invitation only. 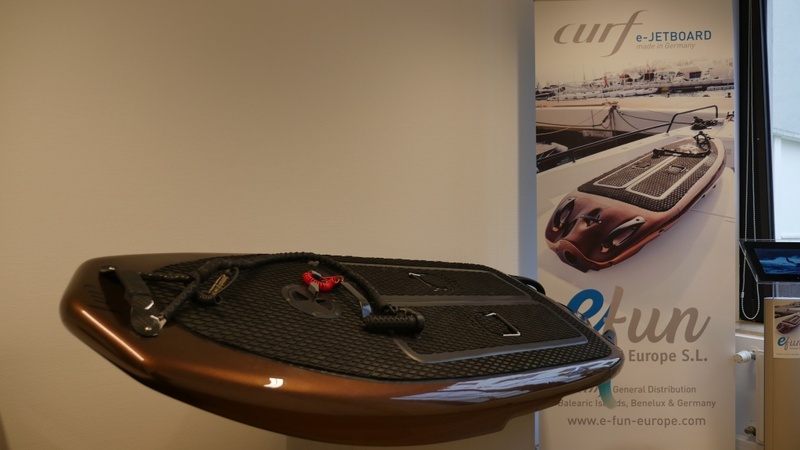 Please check out our separate CURF e-Jetboard article. 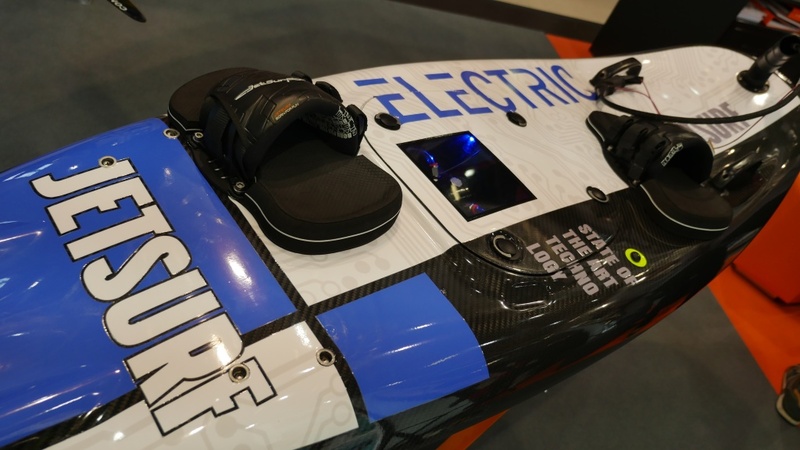 Never were more new electric surfboards introduced at boot than this year. This is exiting and an indicator for the growing scene. 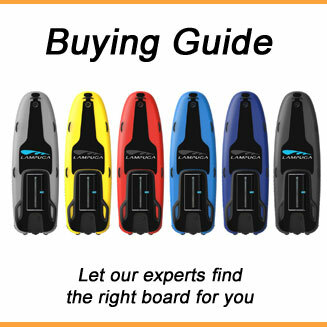 We will post full reviews on the different boards once we get the boards in our hands for testing.